This map represents Germany and how it was divided among the countries that wanted to possess it. 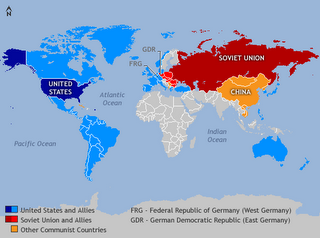 The countries that gained part of Germany include United States, Britain, Soviet Union, and France. 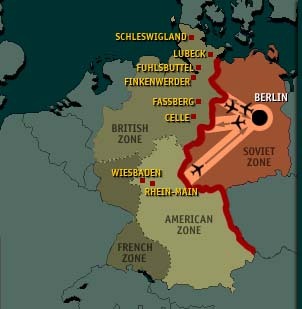 This map also indicates the Berlin Airlift, or in other words the line that the West was allowed to use to transport goods to the East. If the airplanes flew out of the line, it would be shot down, so the pilots have to be really careful in flying the planes. From studying this map, it makes me have a better understanding of how Germany was divided amongst the four countries and where the Berlin Airlift line was.